Today, we’re changing that with the launch of goals in AdWords Express. You can now choose which business goal you want to achieve with your online ad. AdWords Express will then continuously optimize your ad with that goal in mind and show you how well your ad is meeting your goal. Call your business: Get more direct calls from potential customers who are ready to talk on the phone about your products or services. Visit your storefront: Bring more customers to your physical store location. Take an action on your website: Get more people to take a specific action on your website, such as filling out a form or requesting a free quote. Depending on which you select, AdWords Express then fine-tunes your ad to meet your goal. 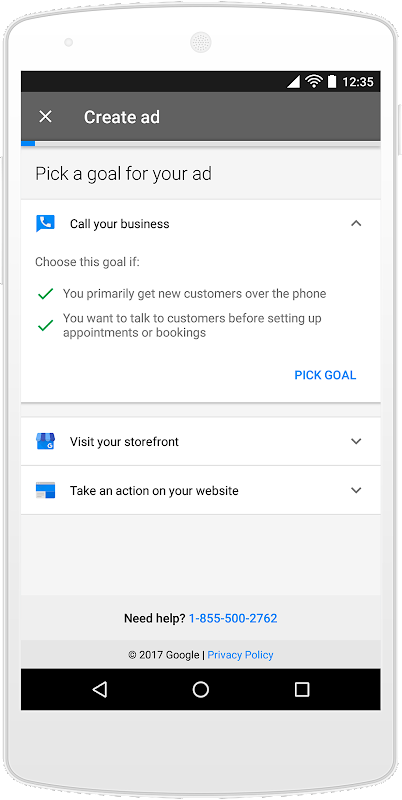 For example, selecting “Call your business” will prompt Google to show your phone number more prominently in your ad, making it easy for potential customers to call you at the exact moment they want to get in touch. 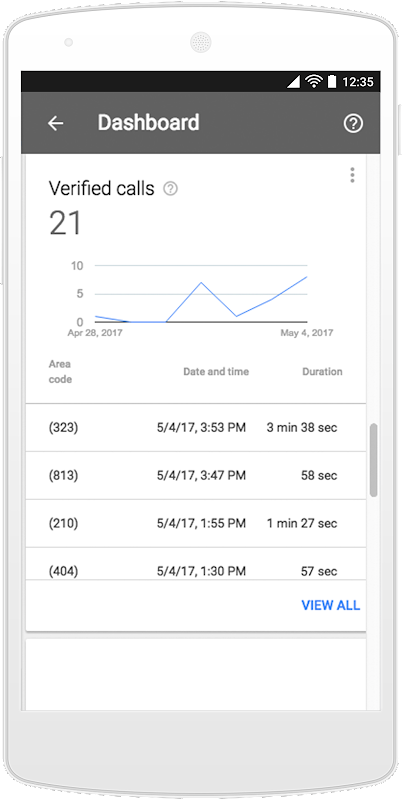 Then you can check out your ad’s performance by reviewing goal-specific metrics, like how many calls your ad generated, or how often people saw your ad and then searched for your store on Google Maps. The addition of goals is possible because of a series of changes we’ve made to AdWords Express over the past two years — including using Google Analytics to track website actions, and using Google Maps visits and Google forwarding numbers to track store visits and phone calls. Together, these changes help you do what you really care about — connect with customers. We’re excited to continue working to help you get better, more meaningful interactions with customers, so stay tuned for coming updates. In the meantime, to learn more about AdWords Express, head over to our website. While AdWords Express has always aimed to make it easy to set up ads on Google, we’ve seen that it can still be challenging for small business owners to tell how well their ads are working to deliver real-world results.